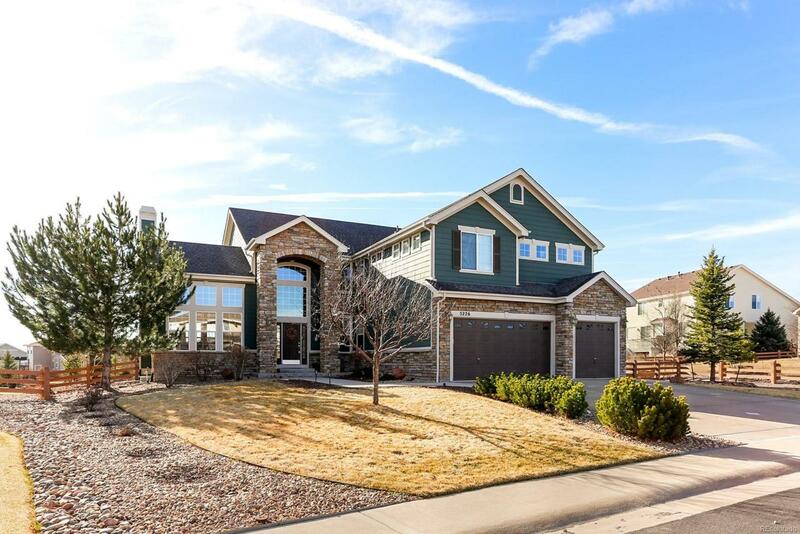 Gorgeous custom home in a private golf club community. Immaculately kept, spacious open concept layout with vaulted ceilings and brilliant natural light. Beautiful hardwood floors, crown molding and trace ceilings. Custom library with imported Black Walnut built-in shelving. Formal living & dining room. Family room is open to the gourmet kitchen with granite slab counter tops, stainless steel appliances to include double ovens, large island with breakfast bar and a walk-in pantry. Bright open loft separates the master retreat from the secondary bedrooms. The master suite has vaulted ceilings, a 5 piece en suite bath and a walk-in closet. California closet systems. The finished basement has custom stonework and boasts a wine cellar, exercise room and a movie theater room that is 3-D capable with 7.1 surround sound, custom lighting and tiered seating. Large professionally landscaped backyard features a covered patio with lighting, a TV and gas line for a grill, perfect for entertaining.